We offer document preparation for eviction for nonpayment of rent and to recover damages. The Florida Bar publishes a full set of landlord/ tenant forms and many of the clerks of court sites have local forms available for download..
A summary of step by step eviction process is below. In Florida there is no defense for nonpayment of rent. The first step in the eviction process is the posting or delivery of a "Three Day Notice to Pay or Quit". "(4) The delivery of the written notices ... shall be by mailing or delivery of a true copy thereof or, if the tenant is absent from the premises, by leaving a copy thereof at the residence." It is customary to hand deliver the "Three Day Notice to Pay or Quit" directly to the tenant. If the tenant is not home, it is acceptable practice to post the notice on the front door. Delivery by certified mail is also an acceptable delivery method. After the three days has passed and the tenant has neither paid the rent nor left the premises, a Complaint for Eviction and a Summons are prepared. Complaint for Eviction: The landlord must file with the clerk of court the original Complaint and a copy of the Complaint for each tenant. A copy of the Three-Day Notice and a copy of the lease, are attached to each filed complaint. The Complaint must either be signed in the presence of a deputy clerk or notarized. Summons: After the Complaint is filed and the fee paid, the Clerk will issue an Eviction Summons/Residential. A copy of the Complaint, three-day notice, and lease (if one exists) needs to be attached to the complaint. The Complaint and attached Three Day Notice is personally served on the tenant. The complaint cannot be posted on the door as a Three Day Notice can. Answer: The tenant has five days (not including Saturdays, Sundays and holidays) to answer the Complaint. If an Answer is filed and the rental payment is deposited with the clerk of court, the next step is to schedule a hearing. Default: If the tenant does not answer the Complaint, a Motion for Default is filed. The goal is to obtain a Final Judgment for Possession and a Writ of Possession. 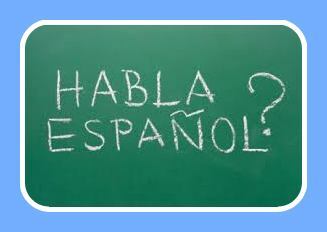 The Clerk enters a Default five days after the tenant was successfully served, but did not answer. Upon the default being entered by the Clerk, the Judge will then review the file and enter the Final Judgment for Possession and direct the Clerk to issue the Writ of Possession. Most evictions for nonpayment never go to a court hearing. In Florida it is difficult to defend against an eviction for nonpayment of rent. A tenant's best possible argument is that he is withholding rent due to the landlord's failure to comply with the terms of the lease. Usually a tenant argues that there are necessary repairs that the landlord has failed to perform. If that is the case, it is within a tenant's rights to make the repairs and deduct the cost from the rent. As an alternative, the tenant may deposit the withheld rent into the court depository. A tenant may also argue that he doesn't owe the rent, that it has already been paid, or that the landlord is suing for an incorrect amount. Writ of Possession: After the judge has signed the Writ of Possession it is forwarded to the Sheriff's Department for delivery to the tenant. The Writ demands that the tenant leave the premises within 24 hours. The sheriffs return to the property after the 24 hours has passed to evict the tenants. Most landlords change the locks immediately after taking possession of the property. We have resources for landlords. Our online course "Becoming a Successful Landlord" is available for any and all interested parties. 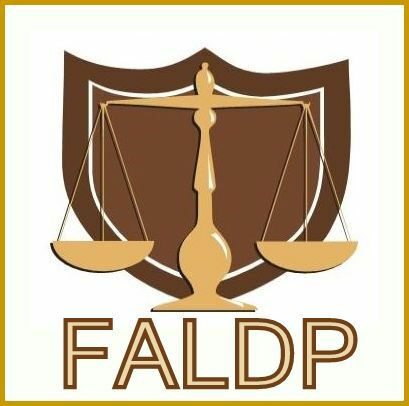 You do not have to be an FALDP member to take our courses. We hope it will help you overcome some of the daily challenges inherent in your calling. We also have all of the forms that you need for eviction, if you want or need to do it yourself. If you need help - that's what we're here for. Our document preparers can prepare all the forms you need, as needed. In some cases, we can even have one of our members meet the sheriff at the property to take possession for you. This is a great service for out of town landlords.